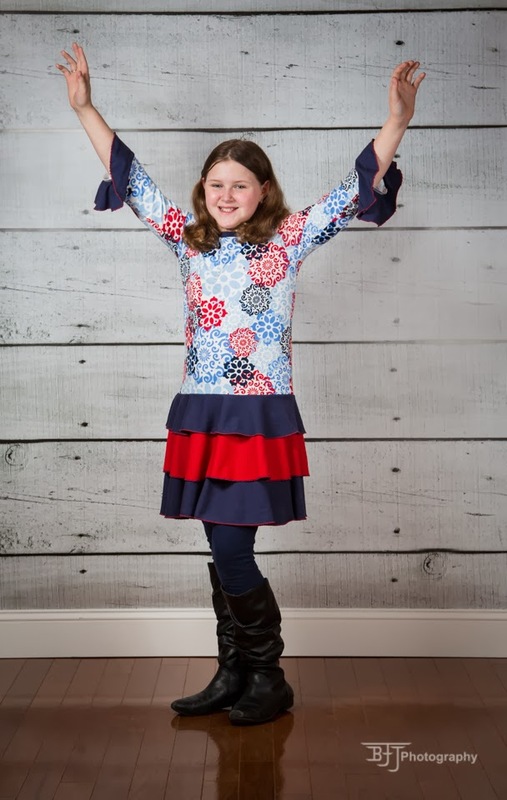 Our Create Kids Couture (www.createkidscouture.com) week of sewing continues with our third CkC Tween Outfit this week. 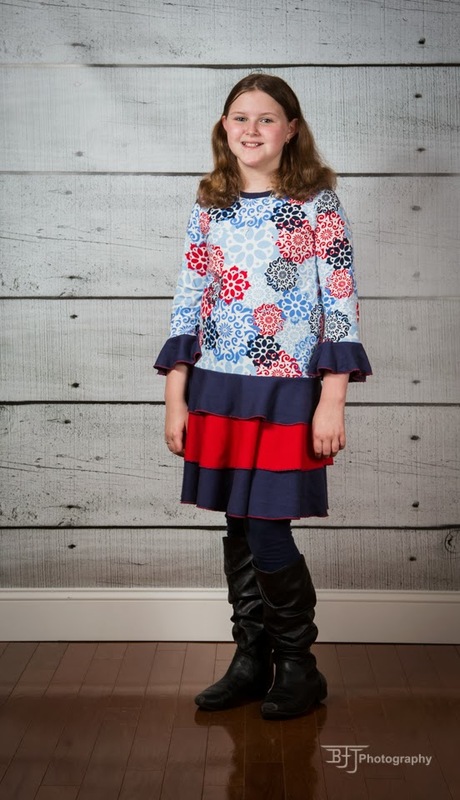 You can view the entire Create Kids Couture tween pattern line here http://www.createkidscouture.com/Tweens_c_8.html. 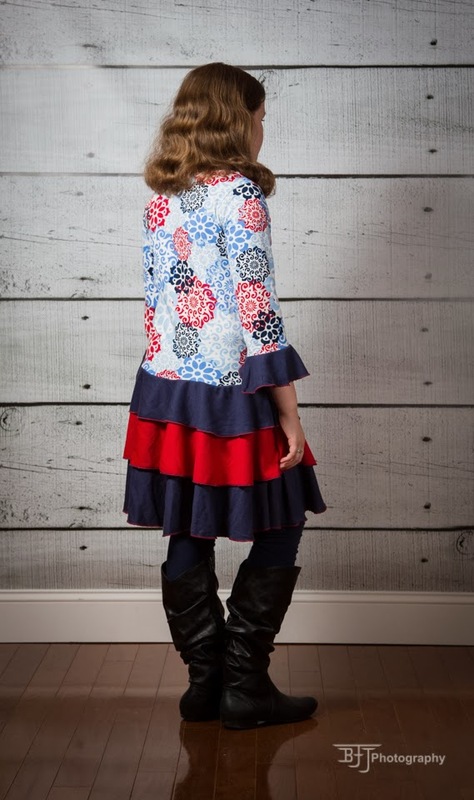 They also have little girl sizes, womens sizes, plus size womens sizes, doll clothes and boys patterns. Today we are featuring the Tessa Knit Dress. It's another versatile knit pattern that has many options. 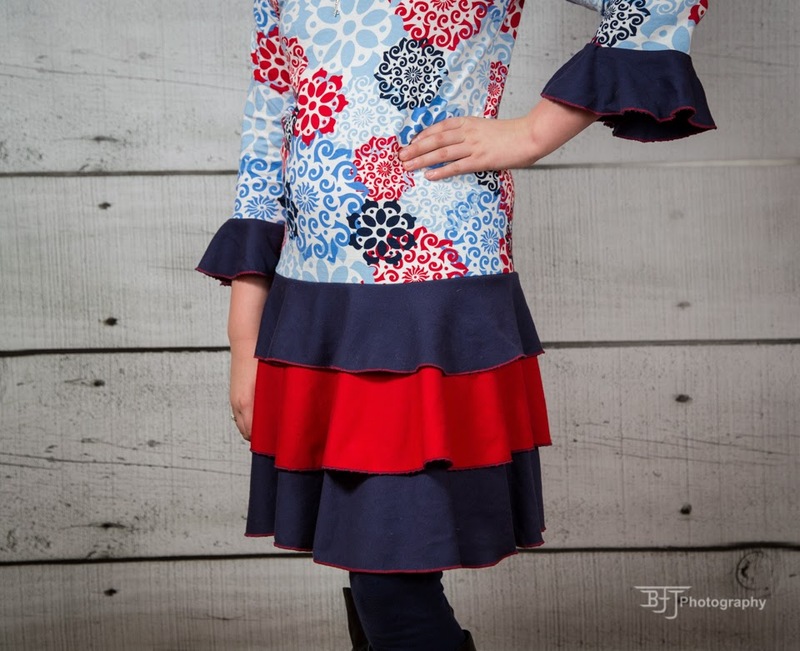 You can do short sleeves, long sleeves, add a circle flounce to the sleeves. You can do this as a top. You can add one, two or three circle skirt flounces or you have the option to make a stripwork skirt. Here is our version of the Tessa Knit Dress. Hope you enjoy! And we had to do a backdrop because it was cold and rainy :( Boo - bring back the spring sneak peeks! Hope you enjoyed and hope you had a great hump day! 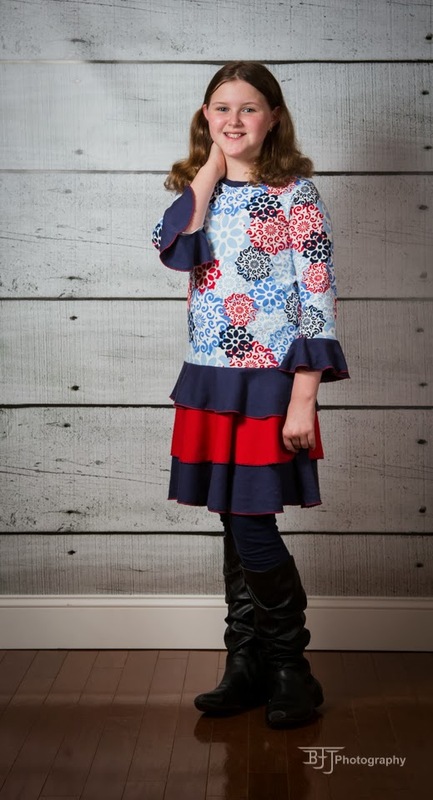 Check back tomorrow as we wrap up our Create Kids Couture sewing week! Have a wonderful evening!